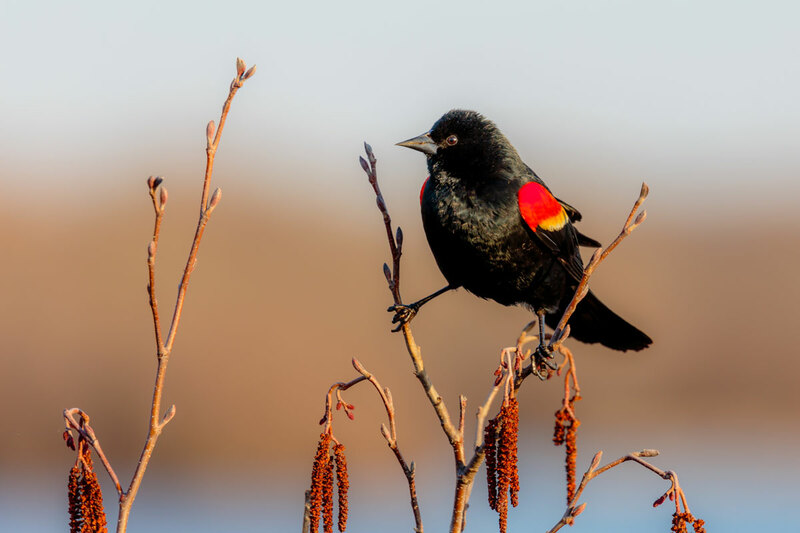 Red-winged blackbirds are some of the most visible birds in Montana. They are found in marshy areas on the open prairie. These birds mark their turf with loud clattering songs.